The Pelican Seafood Bar & Grill + Unlimited Belvedere Cocktails (The Entertainer Party & Promotion) | JACQSOWHAT: Food. Travel. Lifestyle. How can I get this? - All you need to do, go to https://www.theentertainerme.com/trysgfor19/ & purchase The Entertainer Singapore One Month Mobile product priced at just SGD 19. 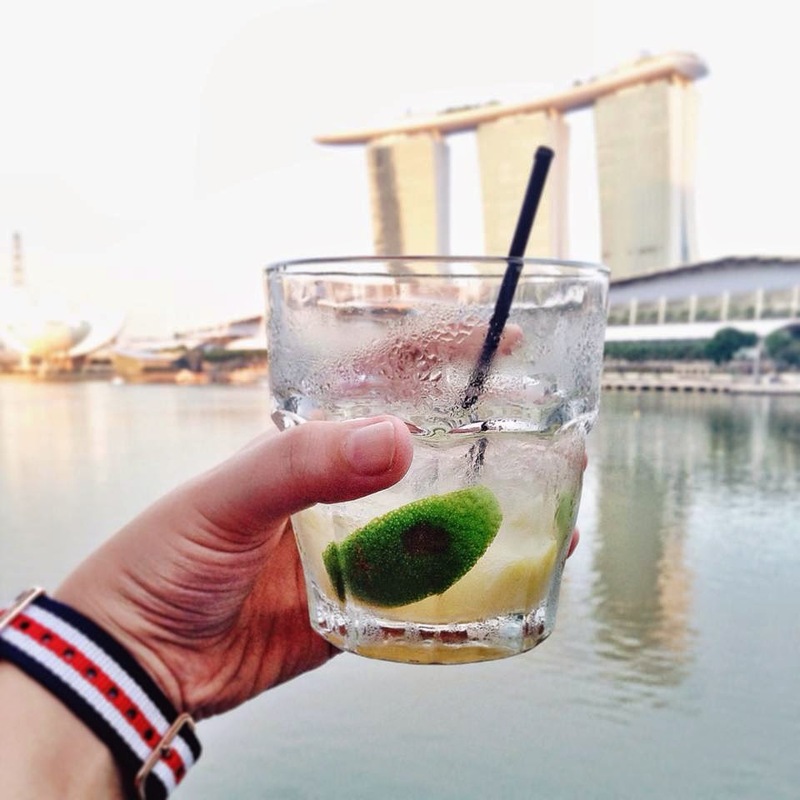 You will get access to all 770+ buy one get one free offers for Singapore's hottest restaurants, dining, nightspots, spas, activities, attractions and more! With 3 vouchers per merchant, you can visit participating restaurants more than once. I'm sure you'll cover back the $19 after one or two transactions. For more details getting from app store and using it, read here. The Pelican Seafood Bar & Grill serves classic east coast American cuisine with a focus on fresh seafood and wood-fired grilling. We used The Entertainer voucher for a 1-for-1 main course which we had the ribeye steak as well as unlimited Belvedere cocktails. Ribeye Cap Steak ($58) - I requested my steak to be medium rare which explains the bloody juice at the bottom. Though it looks simple, I quite like the texture of it - juicy and tender. The steak itself tasted great even without any condiments. Overall, it's a steal. Look at how pink the lean meat is - soft and tender. For that price, I feel it's really worth. The baked mash potato tasted great too though it could be better with slight sauce. Skate Wing Chop ($36) - with burn lemon butter. It tasted more like the angmoh style of our usual sambal stingray. Fresh and soft meat, accompanied with crispy fries. Double Atlantic Linguini & Clams ($58) - with chili flakes, garlic and white wine. Double says all which also means double the portion. $58 for double pasta may seems like a rip-off. But I'm impressed at the generous servings of clams, it's more than the pasta. Overall, it's decent but certainly satisfying. We have total 4 diners in one table, so we used 2 vouchers. For 4 main courses - 2 Ribeye Steaks at $58 each, Double Linguni ($58), Skate Wing Chop ($36) and unlimited Belvedere cocktails. The total bill came up to about $135 inclusive of GST. It's so worth it because $30+ for one pax, I get to enjoy an indulging meal w unlimited cocktails. Can I emphasize how worth this app is? We dined outdoor during the National's Day Parade full dress rehearsal last week, our stunning table view was facing the exact spot for fireworks! Overall, my dining experience at The Pelican was such a joy especially spending it w great company. Special thanks to The Entertainer!